The shooting of Manju Warrier's Aami is currently going on at a brisk speed in Kerala. The film,a biopic of the late iconic writer Kamala Surayya,starsManju Warrier in the titular role Directed by veteran Malayalam filmmaker Kamal,Aami also stars Prithviraj, Murali Gopy and Anoop Menon. 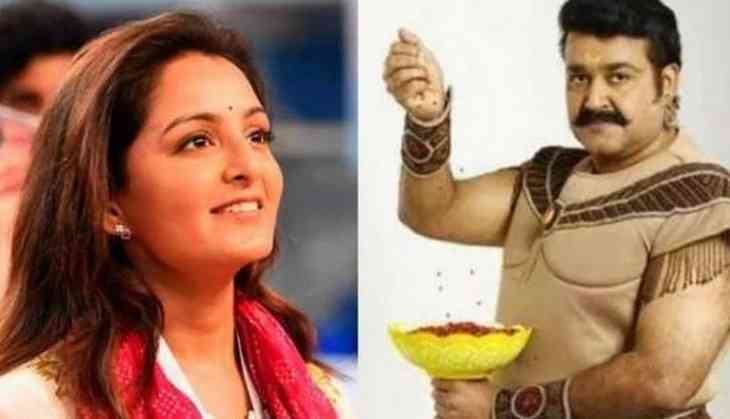 Though the Kanmadham actress is busy with the film, she find time to appreciate the Malayalam superstar Mohanlal for bagging the lead role in India's biggest film, Mahabharatham. Catch had previously reported that Mohanlal is portraying the lead role of Bheema in Mahabharatham an adaptation of popular Malayalam writer MT Vasudevan's award winning novel, Randamoozham. Like every Malayali, I too feel proud and happy to see MT Vasudevan Sir's Randamoozham turning into film as Mahabharata. Randamoozham is a classic novel written by MT Sir and I'm sure that the final output of the film will also be a classic. Our dear Lalettan is essaying the titular role of Bheema. I'm waiting to see another legendary acting from him in Mahabharatha, especially with his natural expressions. Waiting for Mahabharatha days", Manu Warrier stated. Interestingly, Amy will be seen portraying the female lead opposite Mohanlal in his upcoming films Villain and Odiyan.